You found Mr. or Mrs. Right, had a fairytale wedding, said I do and began your happily ever after. But what happens when the wedding ends? This is the part of the story that most of us aren't equipped to handle. We go into marriage thinking all our needs will finally be met only to find out it is just the beginning of God stripping us of ourselves so we can become more like him. My husband and I ran into many speed bumps in the beginning years of marriage and we were blessed to have some amazing resources to help show us the way. 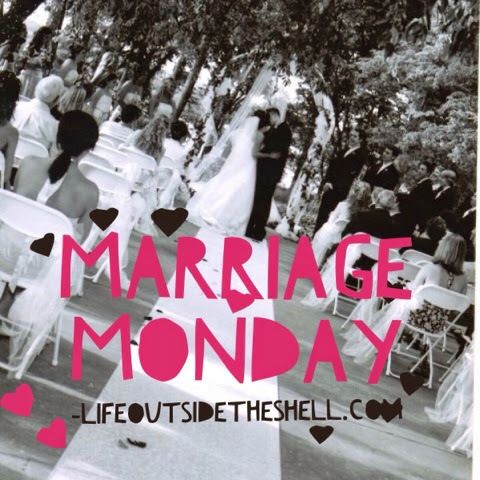 For this weeks Marriage Monday post I want to share some that have helped us over the years. There are SO many great marriage resources but the number one resource we have to equip us for marriage is the best selling book, the Bible. No matter where you read in the Bible we can learn so many life principles and allow the word of God to come alive within us which empowers us to act in ways we could never do in our own power. I can't say enough good things about the resources at Marriage Today. You can visit their site and order books, cds, dvds and so much more. We were blessed to be introduced to this ministry early on in our marriage. I highly recommend becoming a rock solid partner for $25/month and you will receive a new cd/dvd teaching every month. Not to mention I love supporting a great ministry that is on a mission to keep the family together. This is another Marriage Today resource that I highly recommend. We try to do this once a year to hear God for the direction of our family. When Matt & I got married I never really thought about praying for him rather than nagging him. This book helped me to learn that prayer is the number one thing we can do to partner with God in our marriage and help our spouse become the man God created him to be. This book is great place to start in prayer. As I connected to the Lord in prayer He has been able to lead me to pray over things specific to my husband. A few years ago God put it on my heart to get a few of my friends together to pray over our husbands for 30 days. I started a group called The Power of a Praying Wife: 30 Day Challenge and much to my surprise thousands of women have joined this challenge. I love the accountability and surrounding myself with other like minded christian women. You can read more about the story of how it got started here. I can not say enough good things about all of the resources written by Pastor Robert Morris and his wife Debbie of Gateway Church. This book is based on sound doctrine while being simple and easy to apply. The Blessed Woman: Learning About Grace from the Women of the Bible and The Blessed Life: The Simple Secret of Achieving Guaranteed Financial Results . The Blessed Woman dissects the stories of the women of the Bible and lessons we can learn from them. The Blessed Life uses sound doctrine to teach us how to manage money God's way, which is crucial for every marriage. A great marriage doesn't just happen, we must work for it! 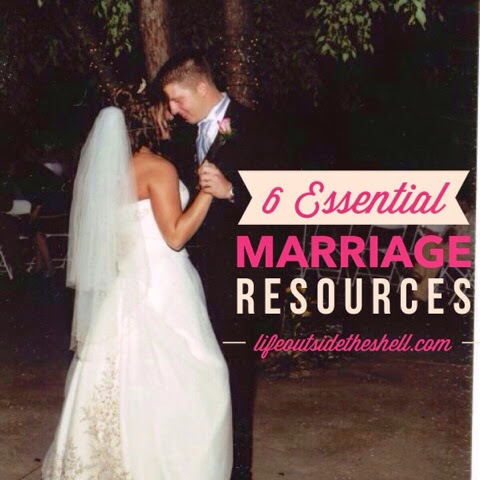 Having great resources is just one more way to strengthen our marriage and live a blessed life! What are your favorite marriage resources? Leave a comment or linkup here and share them with us! We read Love and Respect by Emerson & Sarah Eggerich while engaged and have returned to that book often. The other big book for us was The Road Less Traveled by M. Scott Peck.